How many traders would have expected price to continue plummeting at 9:50 a.m.? Well, unless you were using the Atlas Line™, you may have experienced quite a loss. 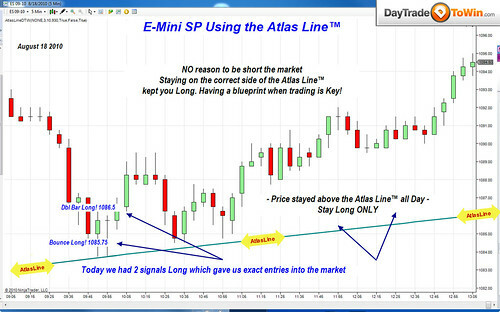 Two long signals were given at around 9:45 a.m. letting Atlas Line™ users know that price would climb. 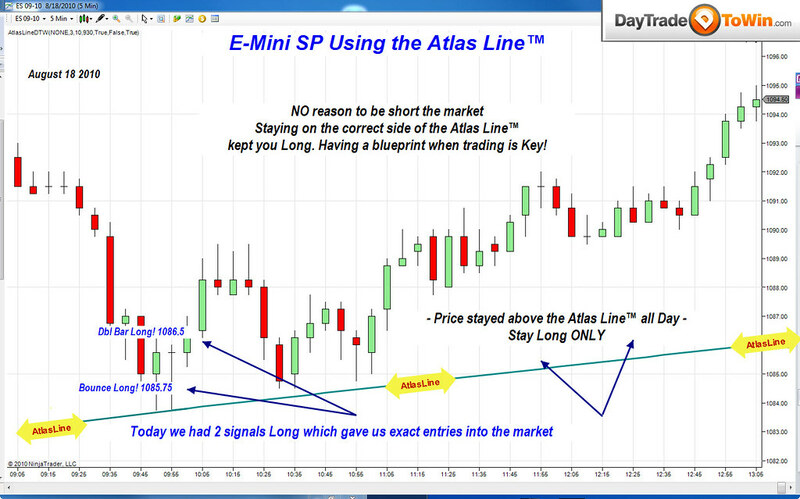 In the picture below, you can see how price seemingly bounced off the Atlas Line™ and remained long all day. If you’re having difficult staying on the correct side of the trade, consider your losses versus how much you can gain with the Atlas Line™. It’s time to take the guesswork out of trading!